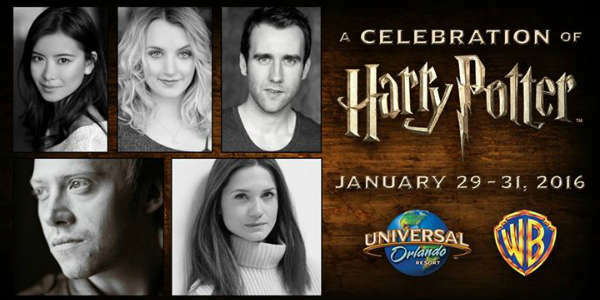 Universal Orlando announced details this week for their popular Celebration of Harry Potter event, which returns to the theme park January 29-31, 2016. 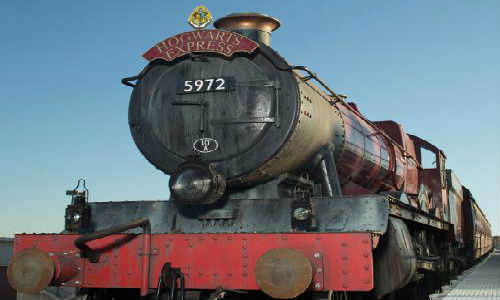 Now in its third year, this special event hosted by Universal Orlando Resort and Warner Bros. Consumer Products allows fans to celebrate all of Harry’s adventures, from the beloved books to the feature films and more. Butterbeer is served several ways at Universal Orlando – cold, frozen, and even as an ice cream flavor. Now, just in time for the colder Florida weather, the theme park is offering the flavor as a hot beverage. 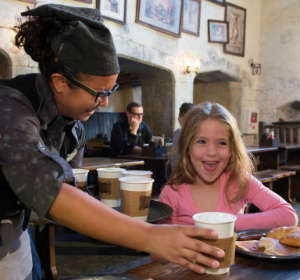 That’s right, you can now order hot Butterbeer at both sections of The Wizarding World of Harry Potter. 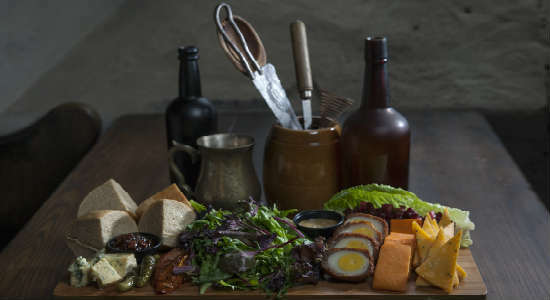 In Diagon Alley at Universal Studios, it will be served at Leaky Cauldron, The Hopping Pot, and The Fountain of Fair Fortune. 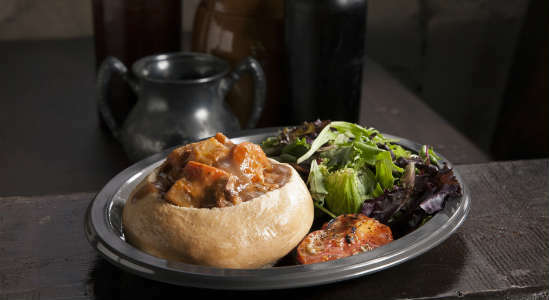 In Hogsmeade at Islands of Adventure, it will be available at Three Broomsticks and Hog’s Head Pub. It will be served year-round. 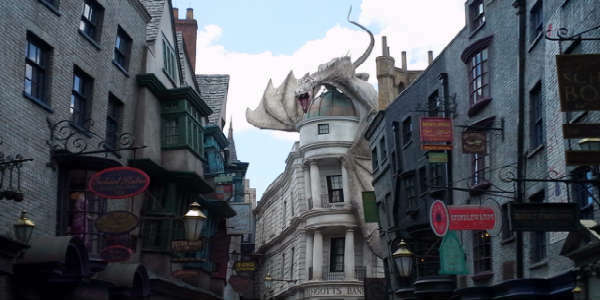 Since the opening of The Wizarding World of Harry Potter – Hogsmeade in June 2010, millions of Butterbeers have been sold each year at Universal Orlando. I’m sure this new hot version will help increase those numbers. Universal Orlando raises their ticket prices again three days after Walt Disney World raises theirs. Effective today, February 26, a one-day, one-park adult ticket is $96 plus tax, up from $92. A one-day, two-park adult ticket went from $128 to $136. Planning on staying longer? Multi-day tickets have also increased. For a two-day, one-park adult ticket, it’s now $155.99, up from $146.99. A two-day, two-park ticket jumped from $166.99 to $195.99 – an almost $30 increase. 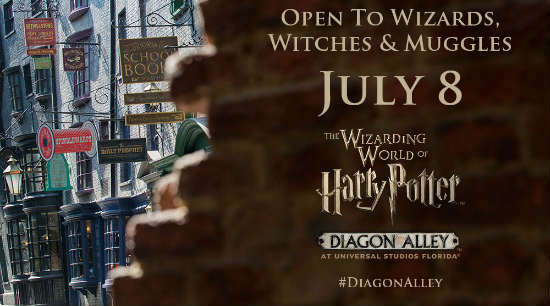 This summer, Universal Orlando will open The Wizarding World of Harry Potter – Diagon Alley at the Universal Studios Florida park, which will be connected to The Wizarding World of Harry Potter – Hogsmeade in Islands of Adventure by the Hogwarts Express train. 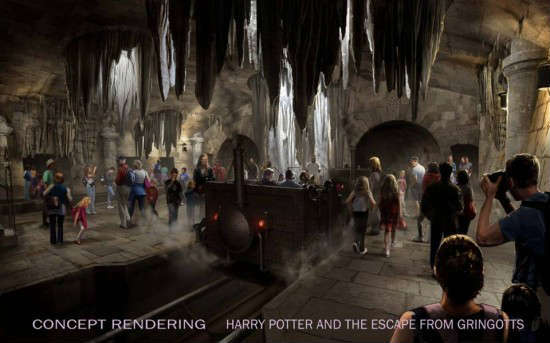 Visitors must have a two-park pass to be able to ride the train from one park’s Potter land to another, and since guests will probably need more than one day to see both Potter lands, that extra $30 is going to add up to big revenue for Universal. So this news leaves only SeaWorld Orlando as the last of the big Orlando theme parks to raise their prices. Any bets on when that will happen? 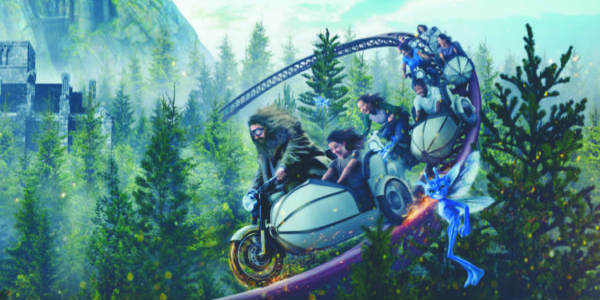 What do you think of Universal’s ticket increase? 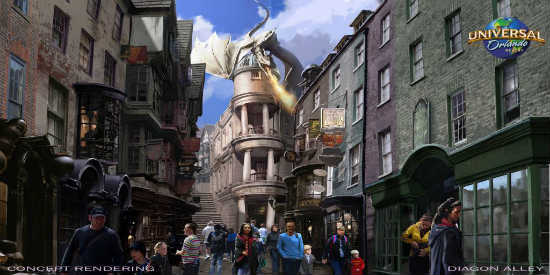 On Wednesday, December 12, 2012, Universal Orlando celebrated the five-millionth serving of Butterbeer to its guests. The incredibly popular beverage is sold within The Wizarding World of Harry Potter, since it comes from the HP books. It was first served to guests in June 2010. 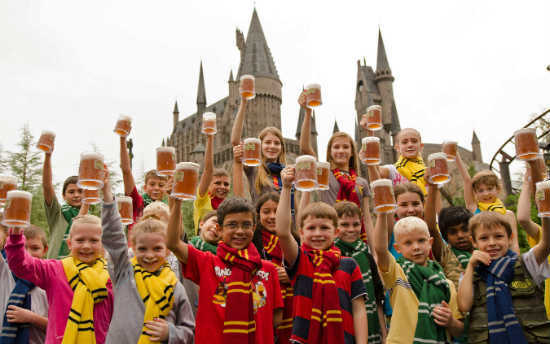 To mark the moment, Universal Orlando gave away one thousand Butterbeers to guests, including these young fans who sported “Butterbeer mustaches” after taking a sip.